It’s only 12 minutes. How hard can it be? I’m lying upside down in the back of a van, my legs propped up on luggage, preparing for the next stage: a 12-minute ITT with so many possibilities. Is it too hot out there? Did the wind change; is it a cool southerly or a hot northerly? It feels cooler, but does that mean it’s a headwind now?! My thoughts drown out the hum of the rows of turbo-trainers in the neighbouring teams’ makeshift camps. I’ve never entered a race where I wasn’t expecting to have a shot, or at least overcome a personal challenge. This one is purely in support. The role of a domestique is as unknown as my new team-mates and the parcours we’re about to race. Surely I’ll make the first stage – 4,000km is a long way to come for 12 minutes of racing. 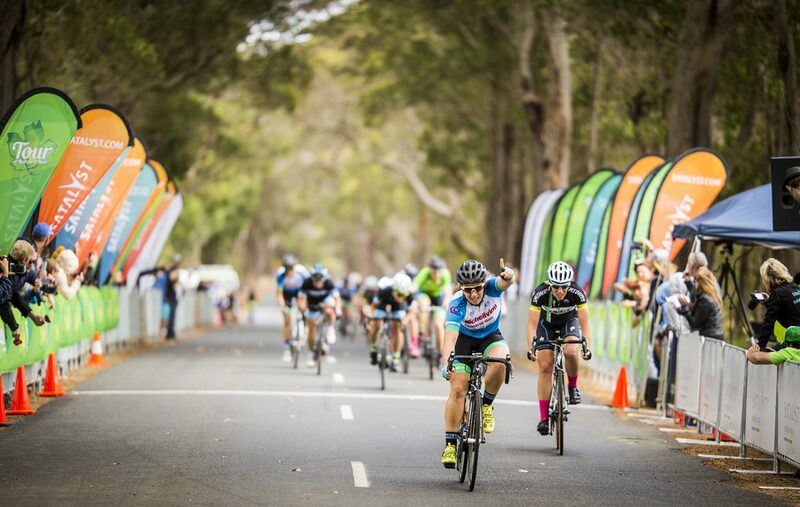 We’d never heard of this race, or of any racing in Perth, but the Satalyst Tour of Margaret River was sold to us “like a golf pro-am, where you can meet and play alongside the pros,” according to Dave Burgess, one of the Tour’s owners. I don’t play much golf, but it must be intimidating teeing off alongside Adam Scott – your ego might get hit farther than the ball. Lining up for an Individual Team Trial with Australian former time trial champion Luke Durbridge, however, is a whole different world of mental and physical hurt. What Dave failed to mention was that, while the European-based pros were here to escape the snow and enjoy the ride, the domestic semi-professional teams were here to race. 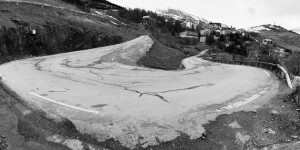 This was all too true in the first stage, the Individual Time Trial, a hill climb – up to a golf course. 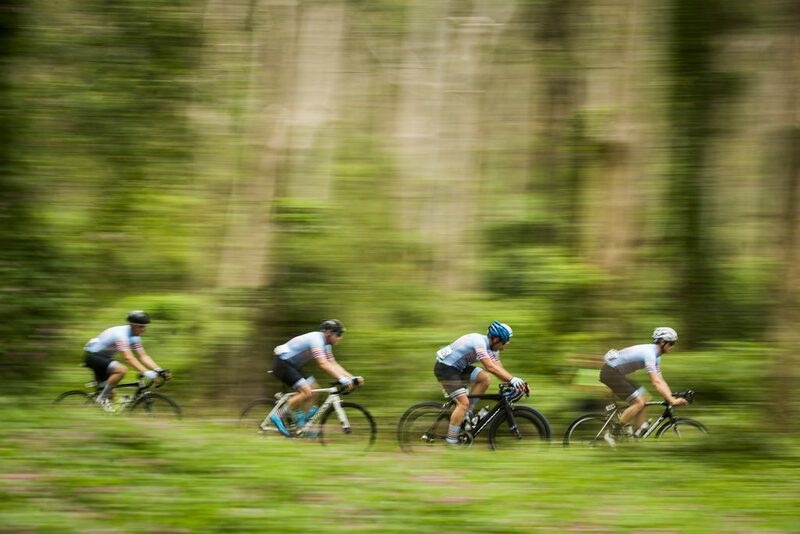 Coincidentally, like much of the race, the stage has a slightly different format; each team of six riders departs together with individual times cumulated, allowing a team to work together to ensure a better overall result. This is perfect if you’re part of Australia’s National Road Series champions and need another opportunity to rehearse well-oiled team time trial drills. For us, though, the plan is pretty simple: get our protected rider, Andreas, as far up the hill as we can… then hang on till the line. As long as we all finish, we’ve made it to tomorrow. Besides, this might be my last ever piece for Cyclist if I have to tell the editor our story didn’t make it past the first 6km. All great tours start with a prologue. 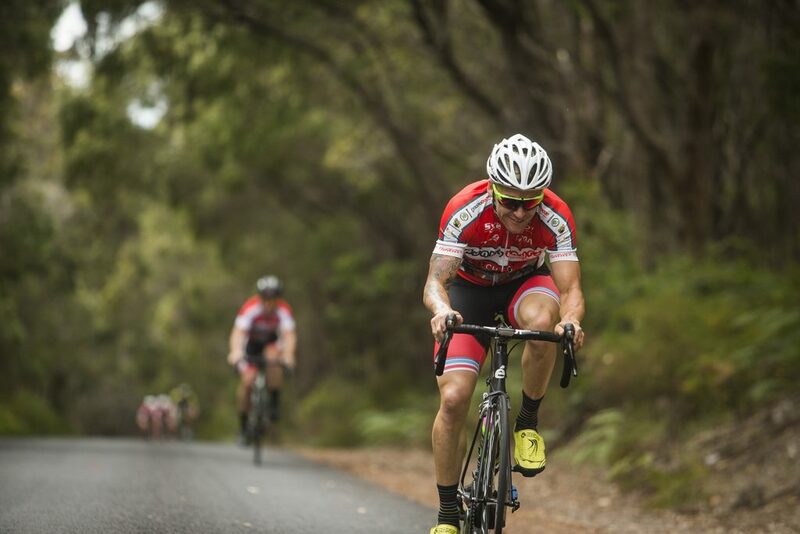 Ask any cyclist – nothing hurts quite like an ITT until you try riding and pacing someone else’s ITT. A few hundred metres pass, and we’re up to speed. Blake shakes his elbow, sending me up front. I grip the drops a little tighter and the feeling of lactic starts to sink in. The heaviness of calves and quads – with an odd taste and feeling in my jaw and gums – always signals my balloon is about to burst. It’s the point where it now becomes an ITT; if my team-mates Andreas, Davide, Blake and Andrew are suffering, they’re on their own. Right now we could really use a sixth rider. One of our wheels flattens a black snake. I think (or hope) it was already dead. Lucky my heart rate’s already maxed. Blake keeps momentum and brings everyone on his wheel past. I surge to catch the tail end and manage to sit on for the next 150 metres till I begin decelerating again. Andreas’s helmet disappears over the next crest, a sight I’ll become all too familiar with over the next week. My head sinks into my shoulders and they sink into my stem, and now I lose interest in how much ground they’ve made. Another drip hits my soaked bars. The tall karri trees offer shade; I glance right, and through their trunks is the coastal bushland we’ve now climbed well above. Maybe I should just stop and enjoy the view. I pace up the hill half-heartedly until I realise I’m gaining a little ground on Davide. I make contact. It’s a long way to Andrew. Andreas and Blake are already out of sight. Eventually Davide, Andrew and I cross the line. A few minutes down, but not all is lost – our combined time puts us in the second group on the road for Stage 2, just a whisker from pole position. 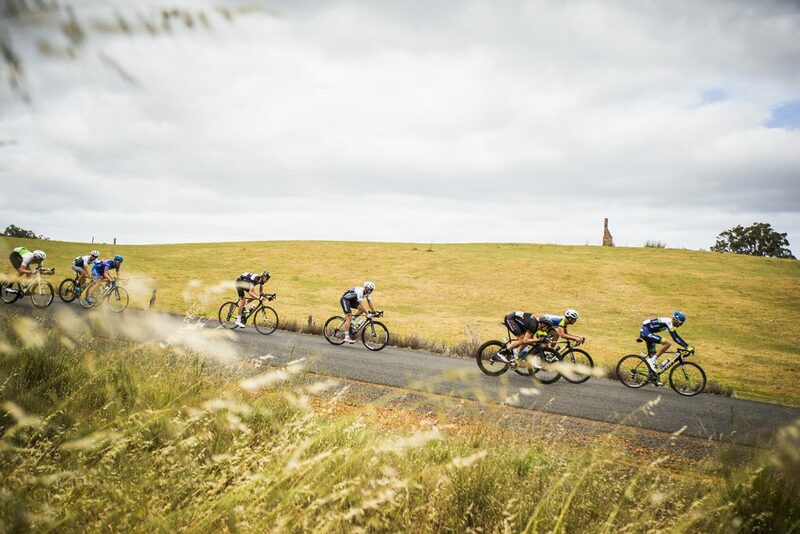 Great wine, big open skies, excellent cycling– people always gush about cycling tours and experiences in other countries, but why when this is just interstate? 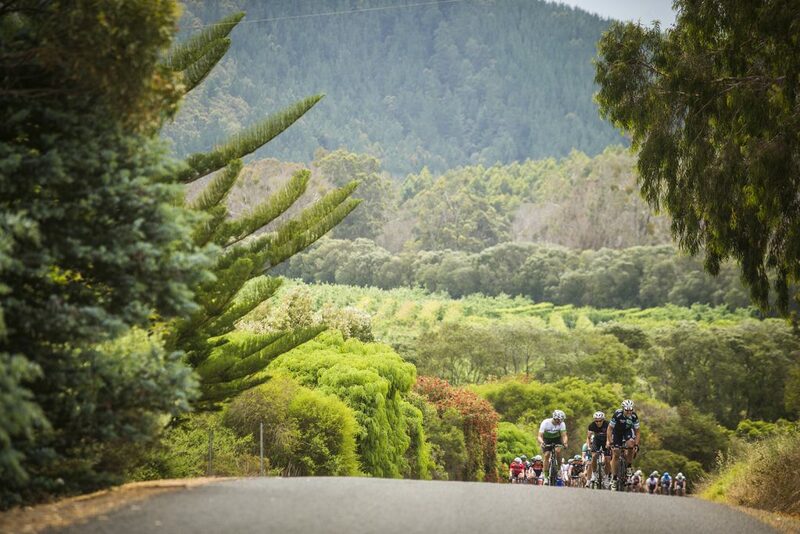 Granted, there are no alps or cobbles in WA, but the coastline, vineyards and views rival anywhere in the world. 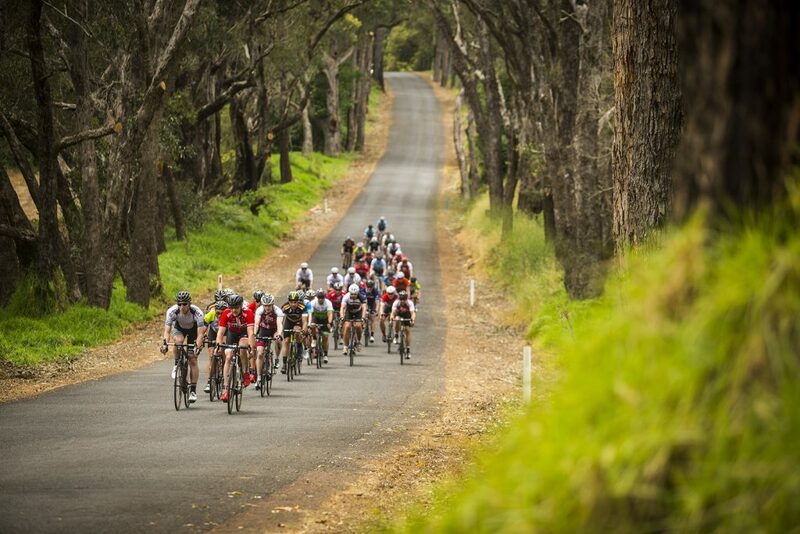 The first Tour of Margaret River was held in 2009 with just 30 riders. 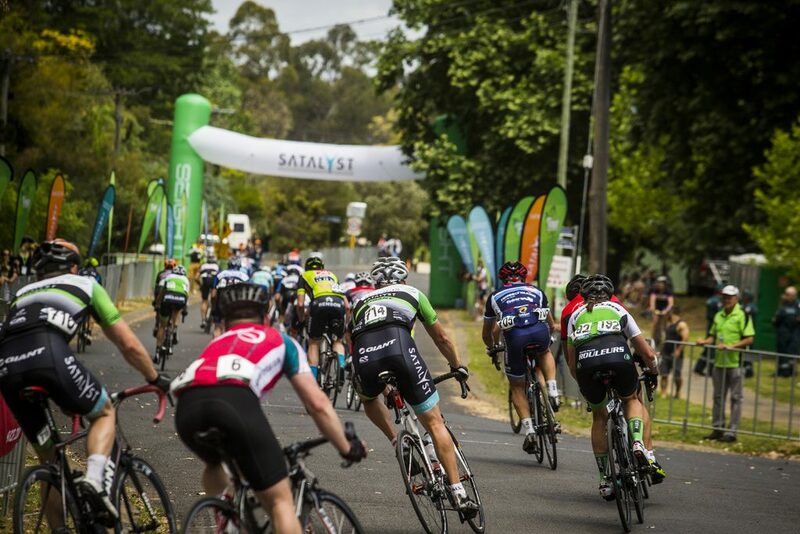 Now, the 2015 edition has us lined up behind the likes of Avanti IsoWhey (formerly Avanti Racing Team), Satalyst Giant, Tiffany Cromwell and Robbie McEwen, along with WorldTour pros and 100 other teams – both men’s and women’s – totalling nearly 600 riders. In this unique format, we’re all racing each other, regardless of gender or grade. Over the shoulders of our red-and-white Punto Tours kit is the unmistakable blue of Avanti; the green of Satalyst lines up in front of us. With their timed handicap we’ve got our work cut out for us to make the catch. These teams have all fielded six riders from their NRS roster and are looking for an outright win – Avanti because that’s just what Avanti do, and Satalyst because the race is their namesake and this is their home turf. Looks like we have a long week of chasing ahead of us. Among these 600 strangers are my aforementioned Punto Tours team-mates: Andreas Nicosia, Davide Marchegiano, Blake Kappler and Andrew Begley. Andreas and Davide are full-blooded Italians spending their summer in Australia before heading back to lead tour groups around the Dolomites, Alps and everywhere in between. It became obvious we’d underestimated these two pocket-sized Italian climbers when Andreas asked us what size kit we wear – then rolled up his shorts, flexed his quads and compared. ‘I’m a medium, you? Maybe a medium, or even small.’ Andreas has returned to defend his title; in 2014, with Simon Clarke as domestique, he won his category and a coveted ToMR plush cow, which he gave to his son. His daughter, he tells me, would like one too. You could be forgiven for thinking the worst is over after the ITT – until you turn the race handbook over to discover a 52km TTT. Returning to the temporary race village we find Andreas, legs up and already in pro recovery mode, debating strategies in his native tongue with colleague Vincenzo Ulgiati. With Andreas’s podium ambitions, Vince has agreed to take the “Social” race group. Punto specialises in gourmet cycling tours; I think I chose the wrong group. I’m no more comforted when I turn and recognise Blake making some adjustments for the TTT, his baseball cap bobbing around the back of his mini-truck among two new Cervélo P5s and his S5. Has he stolen Dimension Data’s team car?! 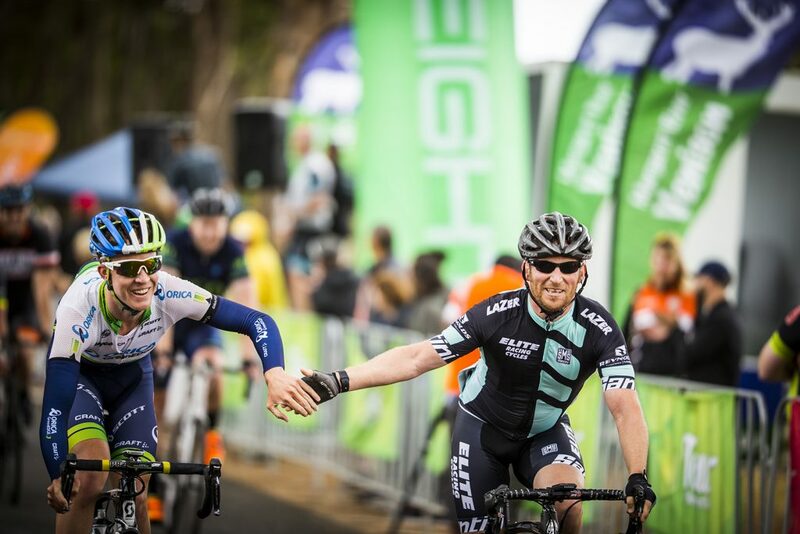 Nope – turns out Blake’s a professional triathlete and training partner of Jack Bobridge. I’m in a 52km TT with two full-time ride guides and, now, a Kona racer. I look at Andrew and secretly hope I’ll last longer than him. It’s three hours until our start; how Andreas can nap surrounded by the drone of enough turbo trainers to power Augusta baffles me. Andrew and I umm and ahh about riding to check out Cape Leeuwin and the lighthouse, regarded as where the Indian and Southern Oceans meet. 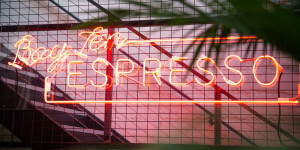 Maybe it’s too far – let’s see how many visits we can make to the local cafe. 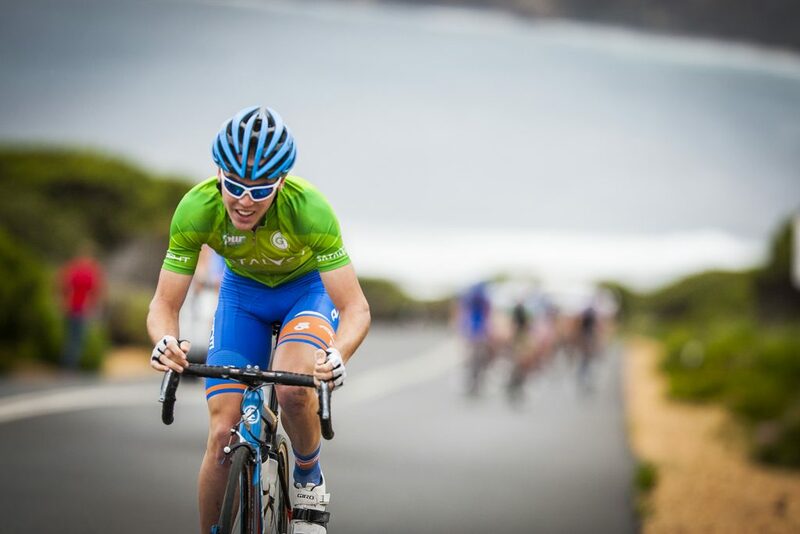 We meet Cameron Meyer along the way; he’s enjoying his local roads and the ToMR to gear up for the Australian National Road Race. We’re not handling the heat as well, so we retreat back to the van basking in the air conditioning and a bit of Daryl Braithwaite. The wind starts to pick up – a headwind. I have no bearing of how the course flows through the landscape. This road better make it a tailwind soon. Andreas gathers us, we warm up, he and Davide discuss pacing and we organise our formation. As the air cools, something strange happens: my fatigue lifts and I’m more positive about the next hour and more. We watch Avanti depart, taking notes. We roll out of Augusta, along the highway and into the dark clouds. We hope to catch any teams in front, but there are no hares in our sights. The course turns down a small country lane, sheltered, cool and flat for 15km down. Our pace is constant, turns are even, and everyone’s feeling settled. We meet a T-intersection; approaching to turn right we give way to the lean figure of Luke Durbridge stretched long and low across his bike, five others in tow. This must be Caves Road. But why is he approaching from the other direction? We missed the turn-off; that explains why there were no teams ahead. I can’t quite grasp the mathematics at the moment, but we may have taken a shortcut. 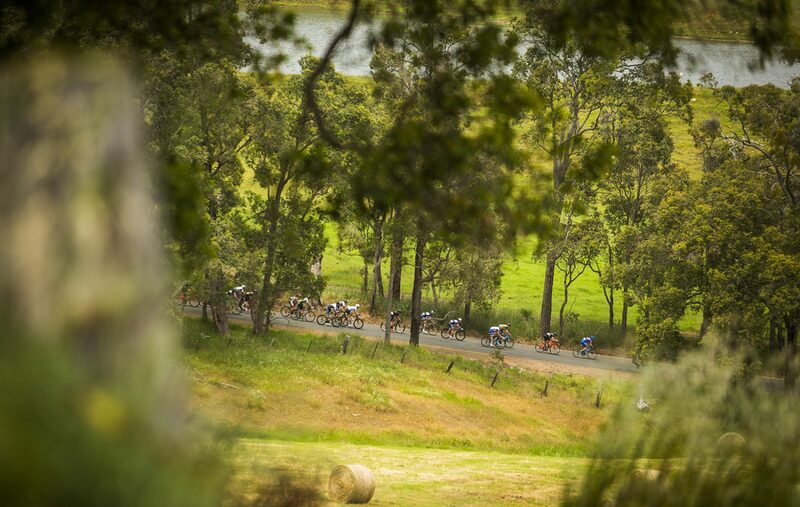 Passing by Luke, his team and the huge karri trees, the topography starts undulating, but the tall gums block the heat and the silence keeps our heads cool. No one’s speaking, pedals are spinning and we’re rotating smoothly. We’re cohesive and, I hope, fast. We keep rising and the vegetation lowers. Occasionally we get a glimpse of the Indian Ocean; we must be heading north along the coastline towards Witchcliffe. Now I can’t get “Horses” out of my head. The chorus is repetitive and simple enough for my oxygen-starved brain, and the 99bpm is perfect for my cadence (you know you want to sing it now too). A clearing and a gravel-strewn right-hander emerge; I follow a wheel wide and almost take half the team to the gutter with me. We scramble and regroup. Davide is feeling the pinches but it’s dead straight to the line. We ease back a touch, holding the team together and crossing just over six minutes behind Navitas-Satalyst. We huddle at the end and decide to visit the commissaire to confess to our course deviation. As they say, honesty is the best policy, and it works – we get rewarded with a time bonus! Back in the van, Andrew and I are a bit shell-shocked. The race just got real; we need to get home to rest, refuel and recover. 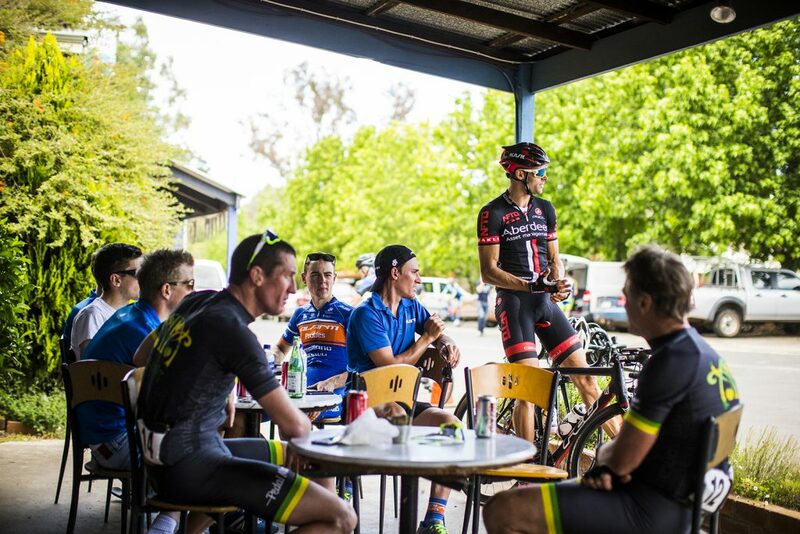 We tick two of those boxes at the ice-cream shop on the way, and at one point we spot Robbie McEwen enjoying his ride home. He might even have covered more training kilometres this week than while he was professional. The next morning we find ourselves deep in the dry-forested hinterland of Margaret River, without a body of water or surf break in sight. There’s barely a soul in the sleepy town of Nannup until a fluoro vest with an orange flag diverts us down a lane of witch’s hats.  We round the corner, and cyclists are everywhere – zipping jerseys, filling bottles in a rainbow of sugared water, fiddling, fumbling and losing safety pins, spinning like mad on turbo-trainers. Faintly heard behind the commotion is a PA announcement calling the start-line warnings. We gather under the hulking green start line, possibly the tallest structure in town, and are soon corralled by a spiky-haired, lean official sporting a clipboard and brand-new Oakley sunglasses – the ones everyone has seen the pros wearing this season (but never actually in person). The riders are grouped in bunches of 30, anxiously looking and judging the group ahead because, counterintuitively, this handicap rewards the fastest. Each rider wonders if they can bridge to the group ahead and, if so, how long they’ll survive in it. Everyone’s stretching, adjusting socks and buckles, fidgeting with buttons on Garmins, but keeping wide-eyed stares ahead – at least, everyone but Avanti and Satalyst, both teams silent and still waiting. The rest are just trying to distract themselves from the nerves. The whippet with the clipboard comes over and checks our numbers. Behind the sunglasses is Ryan Bailie, a pro triathlete and local boy. It’s not every day an ITU professional is your commissaire. Some 1,200 anxious eyes are now on him. 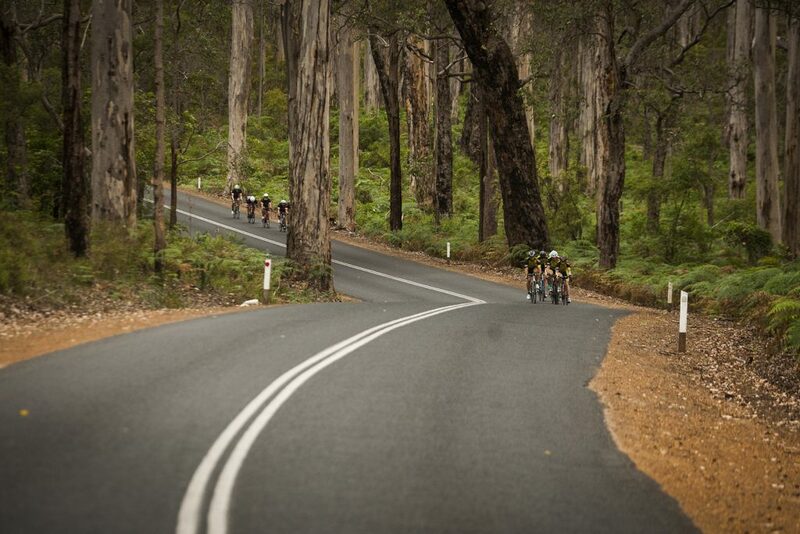 Another warning and in exactly two minutes 100 teams will tear through the sleepy town of Nannup. As predicted, the pace goes up. Blake and I are again at the front, leapfrogging to fill gaps and take the next wheel until we find ourselves at the front again. Then comes the hill. Soon all I can do is pull my eyes up. I catch a glimpse of Andreas’s helmet among a sea of Avanti blue. He disappears over the crest. That’s the last I’ll see of him today. ‘You alright?’ Blake asks as he scrambles past. I take my eyes off the bars momentarily to reply as another drop of sweat hits my soaked stem. Andrew passes and I don’t even want to look up; I just keep my eyes down, nod my head and give a slight turn of my thumb. It all happened so quickly. Less than 5km ago we hadn’t even crossed the start line, and now my day is already over. Feelings of disappointment – shadowed by a tinge of relief – float around. Once my legs and heart stop pounding I might be able to reflect on this a little more clearly. It has been an all-too-familiar experience this week. I bounce from group to group until, finally, I settle into a nice rhythm. Then a touch of wheels and everyone goes down in front. I pull over and help a young kid up. He’s clutching his elbow and looks a bit shaken, eyes darting around trying to locate his sunglasses amidst the bodies and bikes scattered across the road. Again I’m off. We settle into another bunch and catch a few of the women’s group. 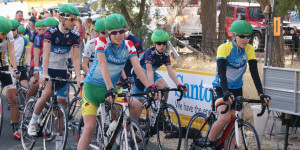 It provides a great change of racing atmosphere and offers an insight into the grit and competitiveness of their race. We really get put to paces when winding through the final turns and skipping around the gravel shoulders until the sharp left to the finish line. Serene Lee jumps out of the saddle and throws the bike to the line to salvage some points in her category, giving everyone a lesson in sprinting in the process. The final day is slightly damp. 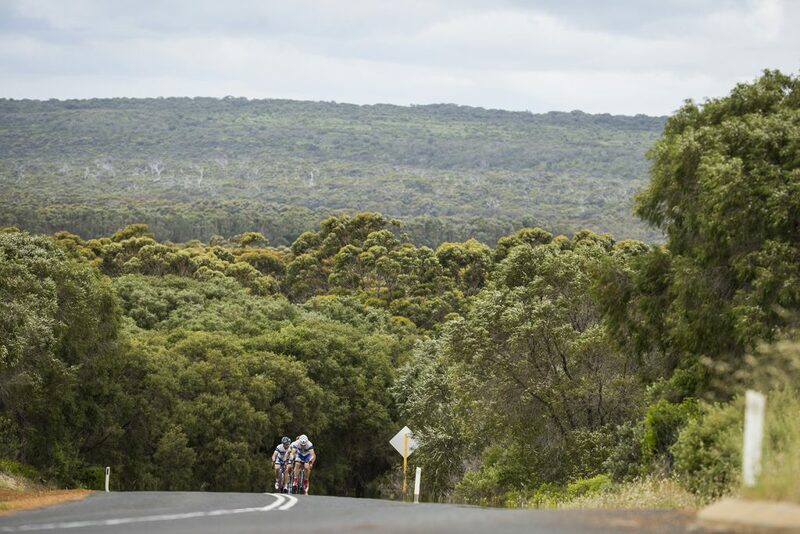 Yallingup seems lovely – it’s a small town with a nice cafe run by a Pantani-mad expat Italian – until we drop down to the finish line. It’s a cold, windy 7% slug up the first 800 metres. 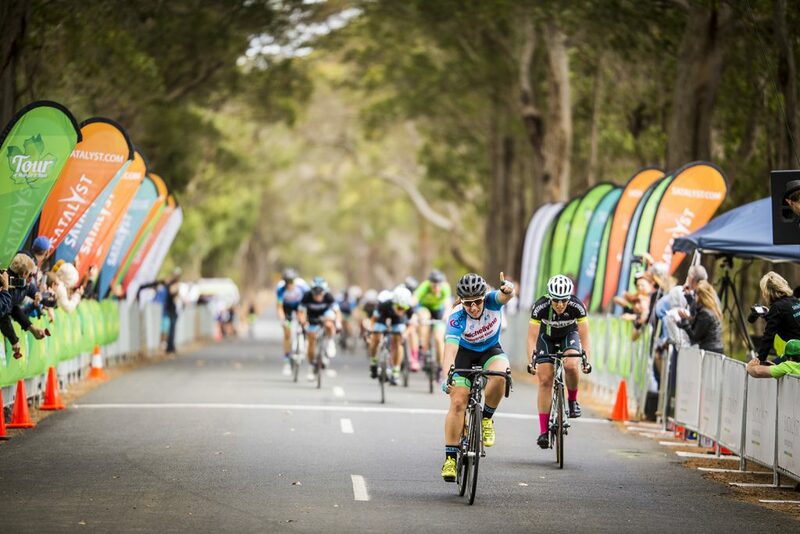 Everyone knows what’s going to happen, but regardless of how much mental preparation occurs behind the startline, it still hurts. As predicted, Chris Hamilton has come to defend his lead out of the gates and he hits the hill with an advantage, Pat Shaw and the rest of the boys sitting, blocking and covering moves. All I can do is watch from afar as they quickly disappear. Another group goes past, along with another, until I scramble and catch Damien Howson’s wheel. I roll a few turns with him then get popped. Another group goes past and I catch Steele Von Hoff’s wheel; he keeps turning anxiously as I chase on, eventually catching. I think he’s waiting for me, but actually he’s lost one of his team-mates. I sit up and find Davide. 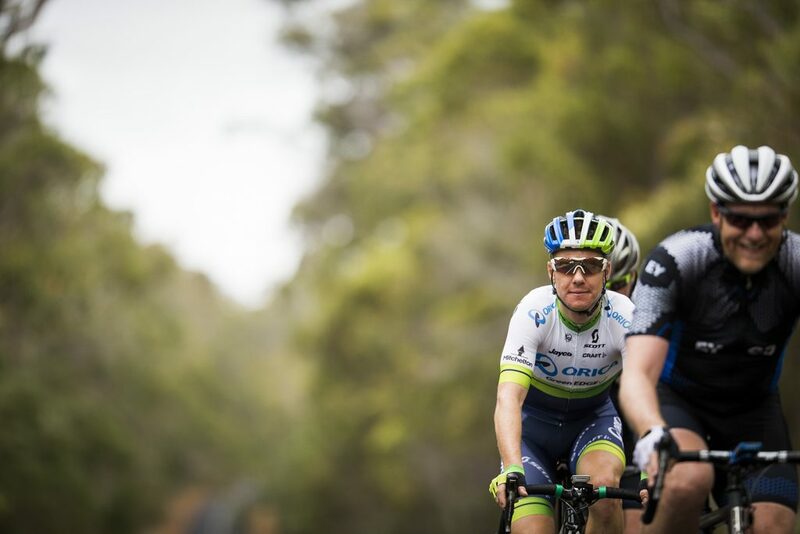 A few kilometres roll by as we chat about Italy, European mountain biking, local food (and last night’s pasta) and how he prepared for the Orica-GreenEdge and Avanti teams – all while riding through picturesque vineyards and xanthorrhoeas. We pick up some stragglers and Davide has a small group filing in behind him. Eventually Robbie McEwen, Simon Clarke and Luke Durbridge’s group catches me. The pace picks up and I realise we must be in the final kilometres as the rollers start taking their toll and Robbie and Luke play ping-pong, catching their fallen team-mates and launching them back over each crest. A pace line forms as people scramble to close the gaps and make the juncture. The lead out starts, but everyone underestimates the rollers and riders abandon their turns early, peeling off the front. The few protected riders attempt another last-ditch effort, launching off in a small group. I watch them catapult away. It’s an exhilarating finish, a flurry of helmets and elbows shrouded in a haze of dust and sun glaring behind. We cross the line not too far behind the lead group, Andreas safely among them with Blake and Andrew in support, and Davide not too far behind. Unfortunately the last day didn’t split enough to get Andreas any time bonuses, and thus no podium – or ToMR podium cow. Much like Le Tour’s lion, the podium cow is highly sought after; even Tiffany Cromwell sneaks over to sweet talk her way into attaining one. We join Scott Sunderland and Matt Keenan for a beer, and with a bit of help from Simon Clarke, this time off the bike, Andreas walks away with one too. He won’t go home empty-handed and, most importantly, any sibling rivalry will be settled. Before we know it, Andrew and I are back in the van, driving to our plane in Perth. The long roads are a bit boring, so I plug in my iPod for another round of “Horses”. 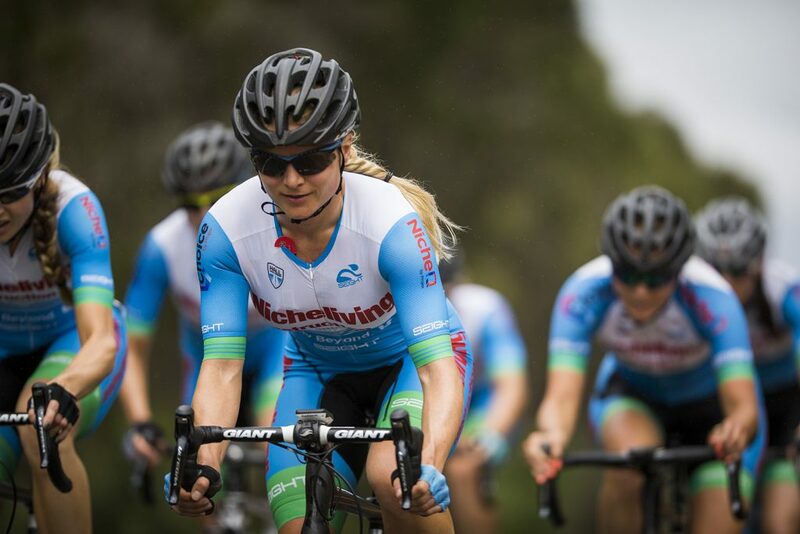 We can’t promise this year’s event will be any easier than ours, but organisers have hinted there will be even more professional riders at 2017’s tour, more women’s teams and huge entry of up to 150 teams. 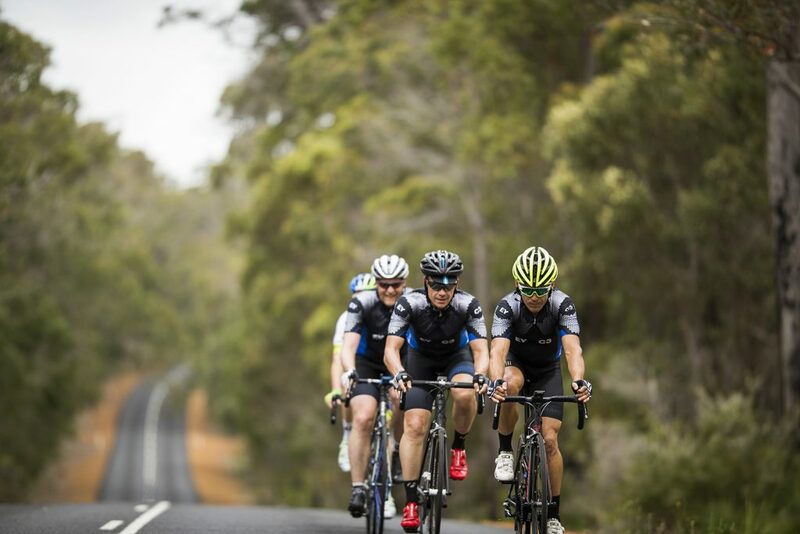 All information can be found at Tour of Margaret River’s website and Facebook page. 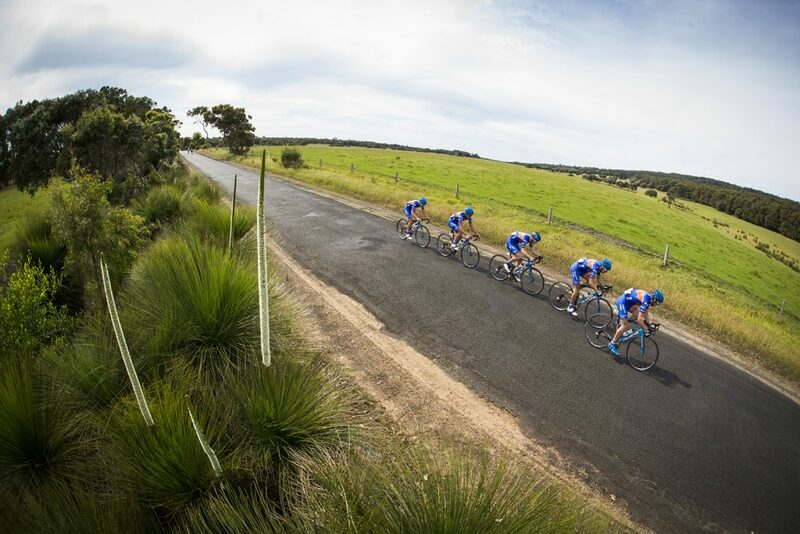 Tour village: 8–12 November, including group rides with the pros. Entry: Entries open 1 June 2017. 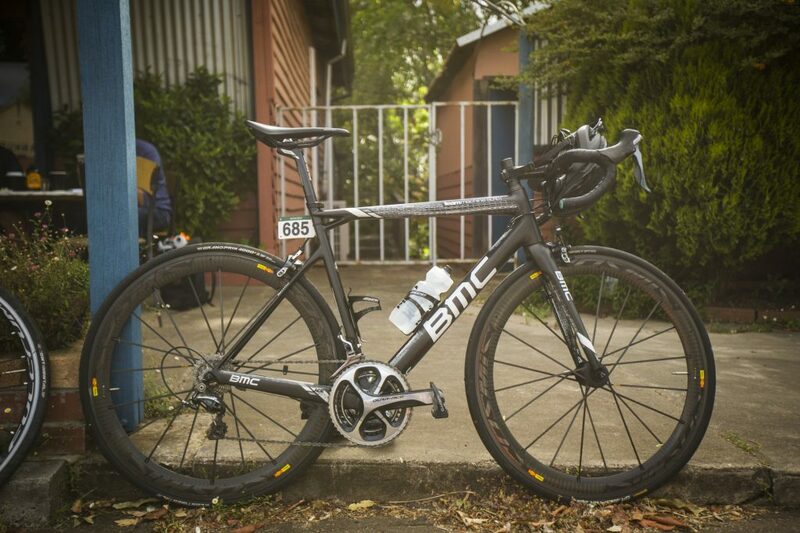 Our featured bike is team-mate Andrew’s BMC. Everyone by now is familiar with the SLR01 as one of the premium models in the market. 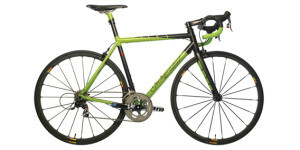 BMC pride themselves on their innovation and in typical Swiss fashion, after Cadel won the tour on an SLR01, they still sent it back to their lab coats and redesigned and rebuilt the entire frame to result in a slightly stiffer and lighter incarnation. On appearance it’s not much different to the original, which says a lot about its pedigree. Andrew’s has been built up with mechanical Dura-Ace, a Ritchey stem, a nod back to BMC pro team with 3T bars, Garmin Vector power pedals which link back to his Garmin head unit, and Mavic Carbone SLRs… which I’m sure were the sole reason for his performance gains on me all week. We flew Virgin Australia from Sydney to Perth, which takes 4-5hrs depending on the Roaring Forties. We rented a van from Perth airport for all our bikes and gear and drove straight down the Bussell Highway, directly to Margaret River. Margaret River has no shortage of places to stay, from the local pub to the Margaret River Hotel or five-star retreats. Alternatively, check out the surrounding beaches for private beach house rentals that can fit your team and bikes. We had an amazing spot in Gracetown. 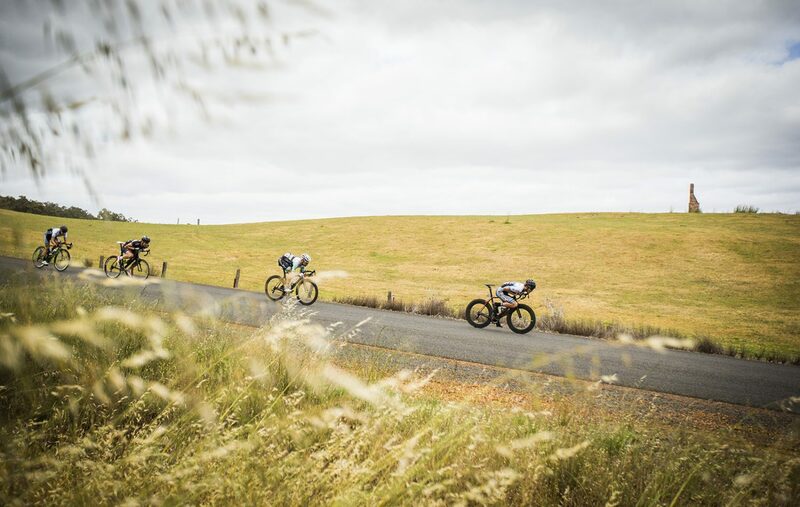 We sampled a few drops at the race village at Leeuwin Estate, and in the main street found a great cafe, the Urban Bean, along with the Millers ice creamery. We also found possibly the greatest brew ride in the world to a little cafe, the White Elephant, hidden just south of Prevelly. 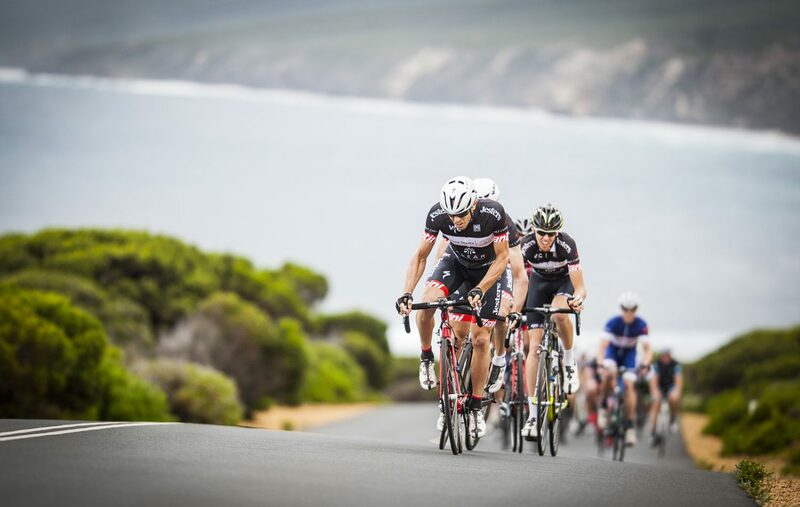 Thank you to Tour of Margaret River, especially: Brendon Morrison, Max Montgomery, and Dave Burgess for their invitation and hosting us during the race; Punto Tours for squeezing us into their kits (and into a spot on their GC team); to Australia’s South West for showcasing their region so well – hopefully the word on cycling spreads as well as their wine has; and to the whole ToMR peloton for a great race and sharing the WA roads with us.